A game development kit (GDK) for Crytek's CryEngine and Improbable's SpatialOS cloud tech is the works. That's according to a blog post on the middleware's website, in which Crytek said that it is working closely with Improbable to develop the GDK so its developers can build gamers on SpatialOS with greater ease. This follows SpatialOS GDKs being rolled out for both Unity and Unreal Engine. So far CryEngine SpatialOS games include Mavericks: Proving Grounds, a wildly ambitious game from developer Automaton. You may recognise this title from the PC Gamer Show at E3 2018, but hey, we spoke to founder James Thompson in March. Crytek and Improbable are also working on a new triple-A game together. We wouldn't be surprised to see BioWare vet Aaryn Flynn, who joined Improbable heading up its new Edmonton branch in September 2018, involved in this. In addition to talking about this GDKs development, Crytek also discussed the importance of open platforms. 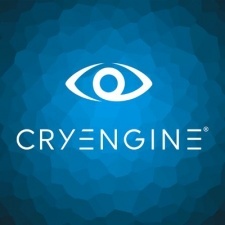 "Crytek is happy to join Epic Games and Improbable in reaffirming our commitment to giving game developers the best combination of engine and games technology, supported by empowering standards that work for everyone," the company wrote. "Crytek is committed to making solutions available to its developers that allow them to create unique interactive experiences, while respecting their freedom of choice of tools and services." This follows a rather public and embarrassing spat between Improbable and Unity over whether developers using SpatialOS could use this game engine which - thankfully - appears to have been resolved.